On this page you will find direct download links for every significant free training resource I’ve created in the past decade to help you start and grow an online business, including my ground-breaking report, The Blog Profits Blueprint, and my live training, The Platform Launch Plan. I recommend you bookmark this page as there is more here than you can get through in just one sitting. 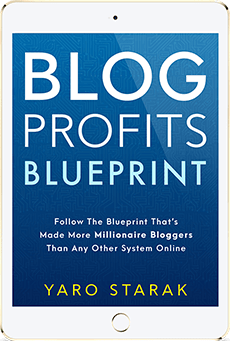 Here are direct download links for the two versions of my ground-breaking free report, The Blog Profits Blueprint. Start with one or both of these if you are brand new to online business. These are the three training videos that are companions to the Blueprint report. They are not long videos, but they cover the core concepts you need to know in order to succeed using a blog and email list to sell your information/teaching products like ebooks, membership sites and online courses. 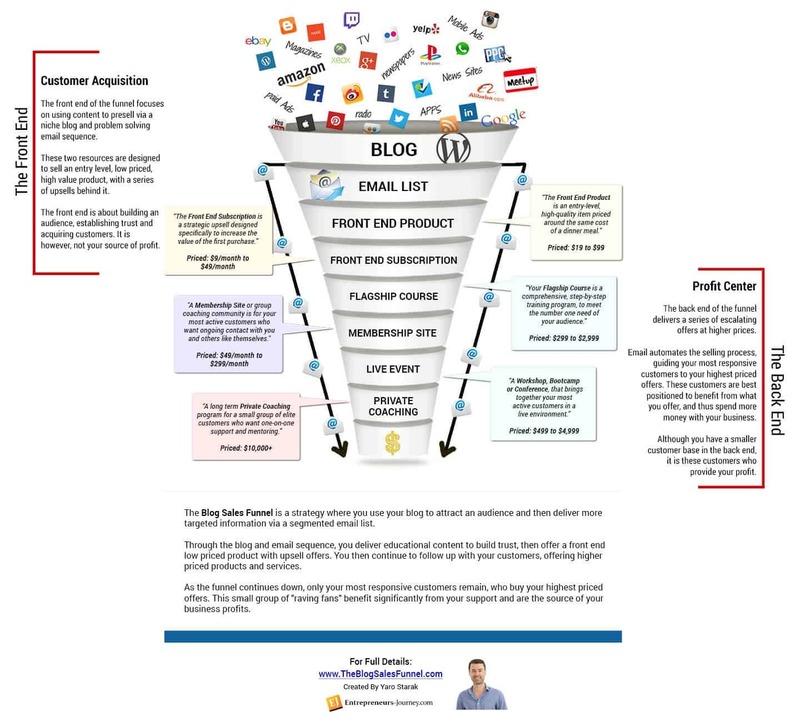 Here is a visual guide for building out a fully fledged blog sales funnel business. Bear in mind this is not meant to be done quickly, and you can still succeed by only having a few key parts of this funnel. 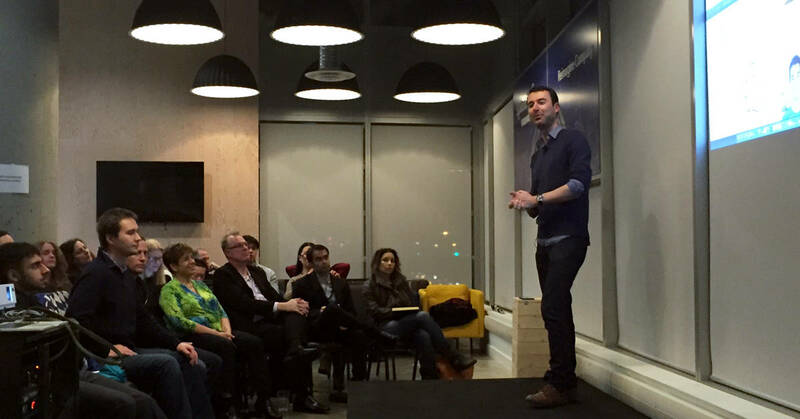 This is a recording of my wildly popular live webinar on how to build your own online platform. A platform essentially means your ‘audience’, people who know, like and trust you, and pay attention to your work, thus buy your products or services. Note that this presentation contains some special offers that were only available during the live webinar. I recently visited with Mitch at his home in Hawaii, a lifestyle he enjoys thanks to the business he built from his blog. Watch this short video to learn more about the sports blog media empire Mitch created that started with a simple college football blog. I visited Janea at her home in Portland and we recorded this interview to learn how she built a hugely profitable subscription based online business, all based on her expertise as a drama teacher. This is an example from one of my live coaching sessions that are only for my paying coaching clients. You too can call in and speak to me live like these people did. Wow, there is such an incredible amount of free content on this page alone. The blog mastermind course must be brilliant. This looks like a real-go-to-resource. You guide always help me to grow my business. 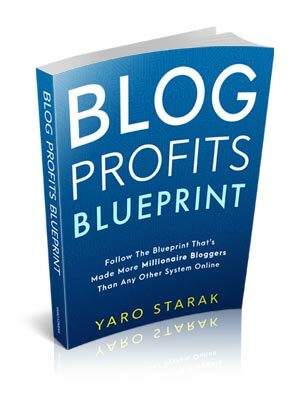 This is a great insight free guide to blogging. Thanks for the sharing. Thanks Yaro! for sharing this valuable information, now i know where i have to work on. This is awesome Yaro! thanks for this!!! Thank you for all of your gifts and talents. MY KEYBOARD is not working on this laptop. I just had to say something while I’m on your site to wish you continued success. I’m looking forward to listening to your Podcast! Thank you again!! this presentation contains some special offers that were only available during the live webinar. Thank You very much! Thanks for sharing all of this with us, Yaro. I’ll be back in a bit to actually go through the PDF and all these videos to see what’s in there for myself, but I already know it’s gonna be good. Your presentation have been motivating so far. My topic would be in Entrepreneurship. Hello Yaro. So much info and, thankfully, so many knowledgeable folks like yourself willing to share. Just getting started with your material, stuff available on the ConvertKit site and Steve DottoTech’s entertaining and informative videos and webinars. As a meditation teacher who is used to caring for people through silence and “in person” presence, I’m looking forward to learning more about using on-line space to continue doing good in the world. Thanks for your help. Hey. I have always looked up to you. I have religiously read all your Blog, PDF, and email newsletter. I must say that it has been very useful. Appreciate what you are doing. Just found you through a link from Tom Woods. I looking to transition out of my painting service business and into a more flexible/passive income type of business model. My real expertise lies within my professional field and maybe should focus there however, I also have lots of experience with kids and fostering their intuition and curiosity. I also love history and atypical political conversation. Oh where to begin! !